What's Hot in Sunglasses This Season? 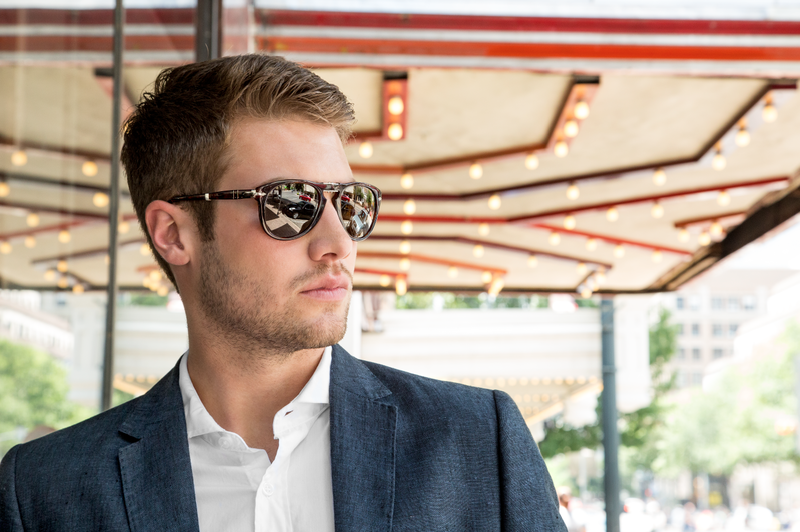 Here are five things to look for this season in sunglasses to make sure you pick a pair that is not only fashion forward, but will pull together your summer look. You can never go wrong with Gucci Sunglasses, and if you are looking for a statement piece, go with a frame that has some awesome accent colors. Accent colors can be the perfect way to express your style without sacrificing functionality. Prada is known for it bold details in eyewear. These extremely popular, Baroque-inspired sunglasses can be seen on celebrities such as Rihanna and Mary Kate Olsen. The temple curves come in a variety of colors, but we love this tortoise patterned, black front combo. Persol is the first to make blue lenses and havana frames popular, but now, every one is doing it. For some, a straight, black frame is too harsh on the face, and for those with light color eyebrows, it can make it look like you don't have any! This is why brands are leaning towards beautiful tortoise and havana- colored frames with beautiful blue and brown compliments. They are perfect for those who feel that an all black frame is too much! These days its all about hipster, retro fashion. 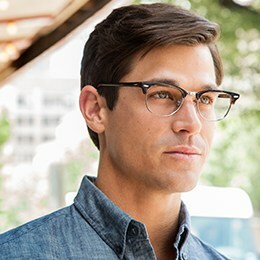 That means that frames that were big in the 30s, 50s, and 60s are making a comeback. Iconic details like the Ray-Ban Aviator, over-sized frames, the Persol Keyhole Bridge, and the Ray-Ban Cat-eye, are definitely experiencing a comeback. Keep this in mind while shopping, and get yourself a timeless classic! Established sports brands are now trying to make more accessible frames. While it may be amazing to keep a pair of Oakley Flak Jacket frames on the side for your long bike rides, you don't really need them for tubing this weekend. Oakley has come out with more fashion friendly frames like these Oakley FrogSkins which still are made of the Oakley O Matter that makes them shatter resistant, but also look like Wayfarers. More cool stuff? Check out our sunglasses page for amazing deals and sales on your favorite, name brand eyewear. FramesDirect.com > Blog > What's Hot in Sunglasses This Season?